Do I Need a 2nd Battery for My UTV Audio System? That’s a commonly asked question at UTV and off road events that we attend around the country. It doesn’t matter whether you drive a Polaris RZR®, Polaris Ranger®, Kawasaki Teryx®, Can-Am Commander®, CanAm Maverick®, Yamaha Rhino®, or other make or model, the same question exists. While there is no all-encompassing answer, it doesn’t have to be complicated. Typically, the electrical system will produce more electricity than the UTV requires while it is running. This excess electricity is used to recharge the battery after starting the machine and to power aftermarket accessories. In rare occasions where electrical requirements are greater than the capability of the electrical system, a second battery can assist. A second battery won’t change the UTV’s ability to generate power, but it can provide an additional source of power and support the factory electrical system. On UTV’s and SXS’s, a stator is used to create AC voltage for the electrical system. Stators have been used in electrical systems of snowmobiles and ATV’s for many years. A stator sits inside the flywheel which spins off the engine’s crankshaft. Magnets inside the flywheel help the stator to generate AC voltage. The stator is wired to a voltage regulator rectifier. The regulator rectifier receives the AC current and converts it to DC which it then sends through the wiring harness. The stator’s output capability varies by make and model and as the RPM of the engine changes. The higher the RPM, the faster the flywheel is spinning and thus the more power the stator can produce. 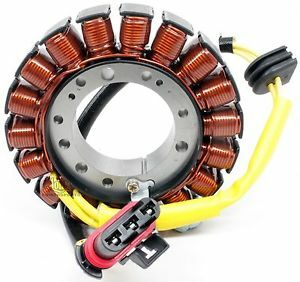 Stator output specs vary by make, model, and engine size, but to offer an example for reference, a 2016 Polaris RZR® XP1000 stator generates 560 watts of power @ 3000 RPM. OEM/Factory electrical components can take up 65% - 75% of the stators capacity depending on the brand and model. 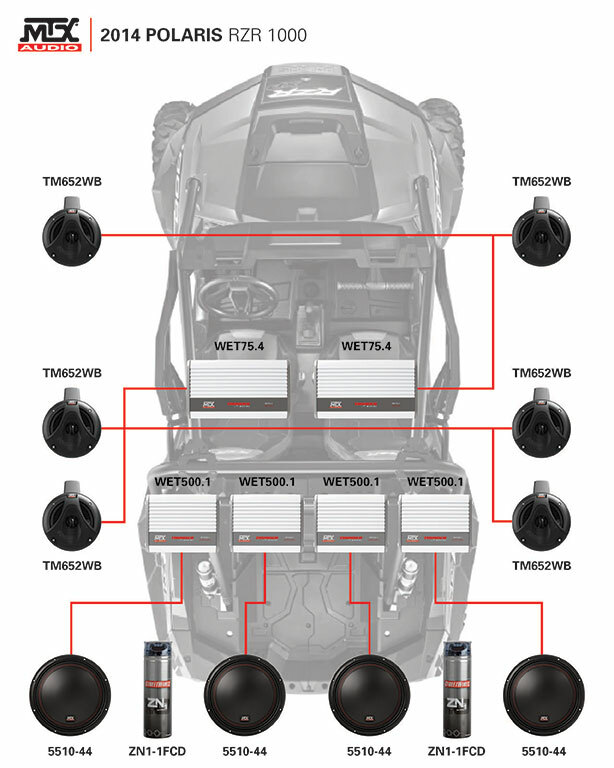 Some of these factory electrical components include the instrument cluster, starter, factory lights, fuel pump, radiator fan, ECM, engine sensors, etc… Not all of these components are in use at the same time. For example, when you first start your machine, the starter will use a significant amount of power but once the engine is running, the starter doesn’t use any power. Also, audio system components are typically wired to a switch or to ignition. If wired to ignition (accessory/remote turn on), the audio component(s) will power on whenever the ignition is in the ON position. If accessory/remote turn on is wired to a switch, they will only power on when the switch is in the ON position regardless of whether the engine is running or not or what position the ignition is in. Whether you are going to connect LED light bars, heated seats, GPS, a winch, or an audio system in your UTV, there are a few things you should know before connecting them to your machine’s electrical system. 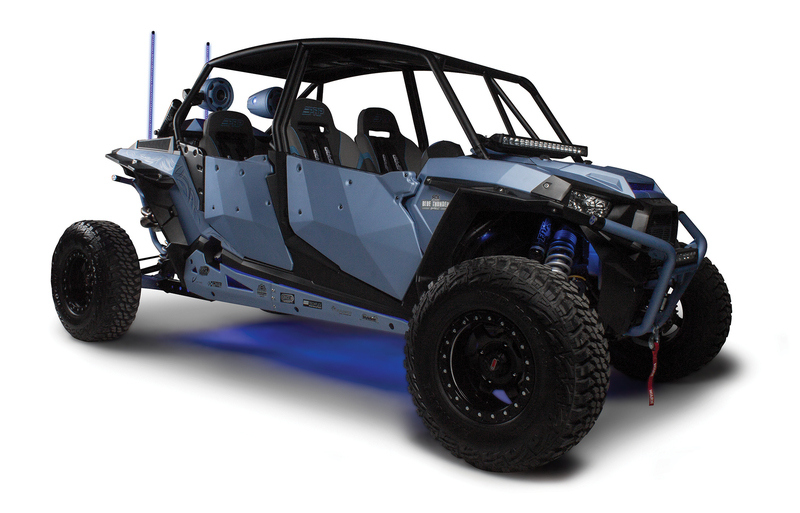 UTV’s and SXS’s have some excess power even after powering factory electrical components. As mentioned earlier, factory electrical components typically use 65% - 75% of the vehicles electrical power. The remaining 25% - 35% can be used for electrical accessories, but to determine how much power is really available, you need to know the output rating of your machine’s stator. If/When you reach your stator’s maximum output, the vehicle will start using power from the battery even while the vehicle is running. At this point, your electrical components are slowly consuming power from your battery in addition to using all the power available from the stator. Just like a car with a bad alternator, you run the risk of draining the battery too much to be able to start the engine. In some cases, performance of the electrical components will also suffer if they aren’t getting enough power to operate. Adding aftermarket electrical accessories to your vehicle can increase and/or decrease the draw on the stator. For example, using a winch can use up some or all of the remaining capacity of your stator. Winches can pull up to 320 amps when under a heavy load. That alone is more than your stator can output but winches sometimes come as factory options. Why would the factory install a winch if the stator can’t output enough power for it? The winch will still work, it just may not operate at its full strength if it doesn’t receive adequate power. The fact is, if you have a winch on your UTV, you’ve already exceeded your stator’s output but everything still works fine right? That’s because not all electrical components are pulling power from the stator at the same time. Current draw of the electrical components can also vary. For example, the current draw of HID headlights will be much higher when they first light up. The HID ballasts require more power to light up than they need once they are lit. Also, the current draw of a winch is much higher when it is winching itself out of 3 feet of mud than when it is just winching itself onto a trailer. Additionally, replacing OEM components with more efficient aftermarket parts can reduce the load on your stator and free up more power for add-ons. Changing the stock halogen headlights to aftermarket LED headlights can reduce the draw on your stator and free up some capacity since LED lights require less power than halogen. It is important to understand that the speakers themselves do not add any extra draw on the electrical system. Speakers use the power provided by the amplifier. Only the amplifier, built-in or external, draws current from the electrical system. Also, at lower volumes, the amplifiers will draw less current than they do at higher volumes. We have installed thousands of our sound bars and UTV related products on customer machines, our own demo machines, and countless machines during testing and product development and we’ve never had a problem with too little power. Yes… A couple of our demo machines that have 6 amplifiers, 4 subwoofers, 6 speakers, a winch, GPS, and 3 LED light bars do have a 2nd battery installed under the seats but most of our customers don’t have this much draw on their machine’s electrical system. For 99% of the machines and people out there, a factory electrical system will be just fine when providing the power for a couple hundred watts of amplifier power, a sound bar, a winch, and an LED light bar or two. Worst case scenario is you may not be able to listen to your music while using your winch to pull your buddy out of a 4 foot deep mud pit and in that situation, you won’t be playing music anyway because you will be too busy making fun of him.